viii+100 pages with diagrams. 16mo (6" x 4 1/4") issued in pictorial stiff boards. 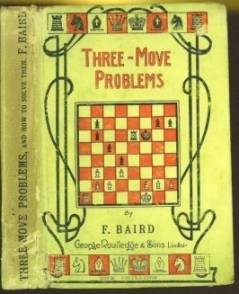 (Betts: 38-4) First edition. 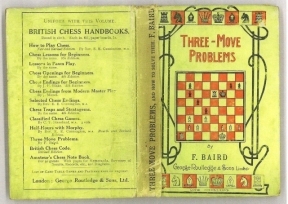 A chapter of technical terms is followed by general advice on solving, a discussion of 14 themes with examples and 50 selected problems. 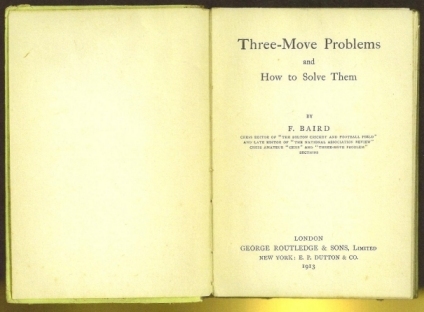 Solution appear to the end. Spine ends and extremities heavily rubbed, spine head chipped, soiled, bad bruise at front heal hinge, corners bumped a good copy, internally a very good copy.